The cleaning and janitorial stockist and distribution industry is competitive. There are plenty of big names dominating the UK market and with low margin products and limited customer loyalty, staying competitive can be a struggle. Customer service is key to competing in the industry. The products sold will largely be the same but it’s the company’s customer service that will set them apart. We have over 40 years’ experience providing business software solutions to the janitorial industry and over time we’ve picked up some useful tips and ideas that have helped our customers increase sales and drive their business forward. We want to pass on these little gems of wisdom to help increase your sales in 2019. Creating a smoother process then allows you to send out products quicker to your customer. This will immediately improve your customer service. If you can guarantee next-day delivery, or even same-day delivery, this is a value-added service that will set you apart from competitors and will attract new customers. However, once the promise has been made, it’s important that you don’t let your customers down. Franchise Help explains that, “it’s estimated that the average cleaning company loses up to 50% of their customer base every year due to poor service”. Providing a bad service, if only once, could persuade your customers to look elsewhere for their products. Streamline your warehouse processes so you can deliver products quickly and efficiently. This can be achieved using an ERP software solution like prof.ITplus, that automatically generates order confirmations, picking notes, delivery slips and can organise your bin location structure. Keep your delivery promises to customers. Ensure you keep the customer informed on the stages of their order including order confirmations, despatch notes and proof of delivery. Multi-channel selling is simply selling your products using multiple platforms. This includes: an eCommerce website, bricks and mortar store and marketplace channels such as Amazon or eBay. Multi-channel selling can increase the opportunities to sell to your potential customers because you’re occupying more market space. Essentially, you want to make sure you’re selling your products in the places that your customers are likely to look. You need to understand your customer and their purchasing habits to decide which platforms are right for you. It’s also a good idea to look at your competitors and understand where they are selling their products. If they have an online store, would it be beneficial for you to sell online as well. Similarly, if they feature in janitorial product searches on Amazon, it may be beneficial to appear next to them in the searches to maximise the chance of a sale. Understand your customers’ purchasing habits and also how your competition sells their products. Look into creating your own eCommerce website or a marketplace account to start selling online. Customer service isn’t just important for new customers. In fact, looking after your existing customers and rewarding them for their loyalty goes a long way. In such a competitive market, great customer service is the added value you can provide your customer that will separate you from the competition. You need something that makes you stand out and there is nothing more valuable than a trusted, reliable, friendly company. It’s much easier to keep an existing customer than it is to find a new one, so it’s worth spending the time working on retaining your customers and making sure they feel appreciated and valued. Providing tailored, informative and useful marketing so that customers are aware of relevant products and the latest news. 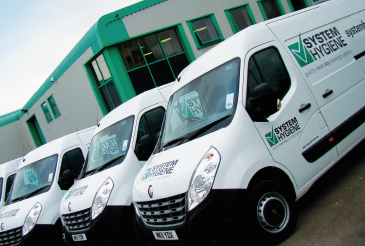 Leading janitorial product supplier, System Hygiene, explains how: “we put our customers at the heart of everything we do and will move mountains to maintain our promise of ‘quality next day cleaning supplies’ – a promise that OGL has helped us keep for over a decade.” An integrated CRM system will allow you to keep records and easily view all previous customer communications, orders and quotes. This will ensure you have all the answers and the ability to deliver first class service that will allow you to build a long-lasting relationship with your customers. Implement a CRM system that allows you to keep track of all customer interactions. Visibility of previous customer orders will make repeat orders easier to handle and improve your customer retention rates. Keep in contact with your customers and provide them with rewards for their purchases. For example, you could offer them discounts, free add-on services (such as delivery), informative guides or tickets to company events. The price of your products is an important factor for customers in deciding to buy your products, but it’s not always feasible to compete. To start, you need to know the best price you can sell an item whilst still maximising your profits. Having a sophisticated ERP system will enable you to set boundaries for the lowest possible price per item. This can give your sales reps better leverage to secure deals and make the sale. Understanding your pricing also ensures you’re not selling goods at a price that affects your profits. An ERP system will also allow you to set custom pricing for specific customers. This means you’ll be able to keep records of customer pricing for future orders, which helps to maintain a good level of customer service. Know the lowest margin you’re prepared to sell items for and work out the lowest selling point of all your products to avoid undercharging customers and losing profits. Manual processes and human error could be one of your biggest costs. Save money by automating your business processes. 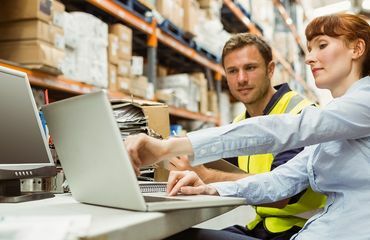 This can be achieved by implementing an ERP software solution that will connect all areas of your business to create a more streamlined process. Automated processes free up staff to focus their time in other ways to help the business grow. Instead of staff spending hours on admin, utilise their skills by creating better marketing, spending more time talking and visiting customers or focusing on tele-sales opportunities. This way you can be sure your employees are contributing to the growth of the business instead of tedious admin tasks that can be automated with software. Review your existing business processes and understand the time and man hours involved in the manual processes that can be automated in software. This will help you decide if you need to invest in software in order to grow your business in 2019.